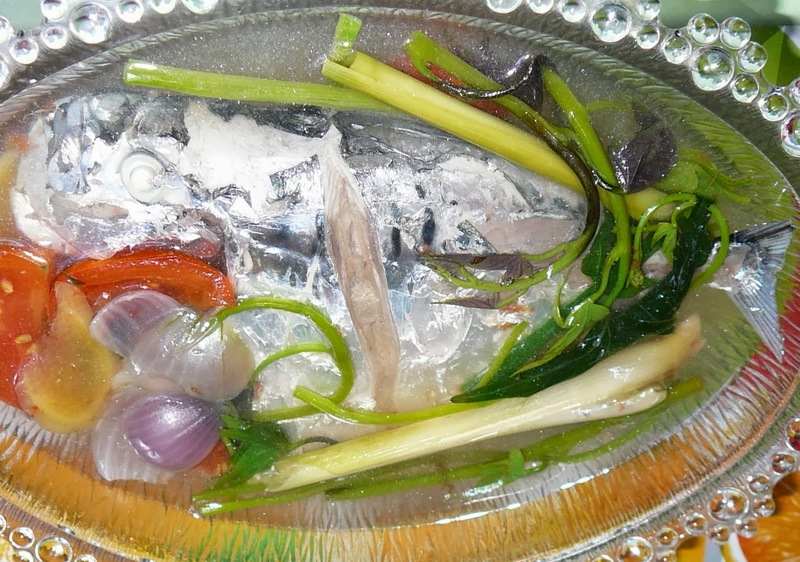 Tinowang Isda is the Visayan way of cooking fish with soup. Actually tinowa is the tinola in tagalog it just that the Cebuanos pronounce it that way. What ever it is these dish is really good, cooking is so simple the fish is boiled with ginger, onions, tomatoes and spring onions, season with salt. And you could add leafy vegetables, like malungay or kamote tops. You could also choose any fish you like, but on this post I have chosen pomfret fish and kamote tops for the vegetables. Remove gills and innards of the pampano. Wash fish and slit diagonally across the middle. In a pot bring to a boil 1 1/2 liter of water, add in tanglad, ginger, onion and tomato, simmer for 3 to 5 minutes. Add in fish and continue to simmer for 3 to 5 minutes. Season with salt to taste Add in vegetables and spring onions cook, for another 3 to 5 minutes or until fish and vegetables are just cooked. Serve hot. See related post of Tinowang Tanguige.